Before serving you add whipped cream and chopped almonds. On Monday my father emailed from a flight to Los Angeles to tell me that, according to Sky magazine, Suzanne Goin’s favorite ingredient right now is blood oranges. That my father reads in-flight magazines is more surprising to me than Goin’s fondness for blood oranges. Because what ingredient doesn’t Suzanne Goin love? Massed together like that her effusions sound silly, but woven into this big, exuberant book they are charming and infectious. Her headnotes are a delight, long and generous and full of personal stories that always somehow circle back to the beloved ingredient at hand, whether it's the morel mushrooms that remind her of a trip to France with her late father, or fresh English peas that inspire a little tale about hating Birds Eye frozen peas as a kid, trying one straight out of the freezer, and thereafter always eating her peas frozen. Suzanne Goin is great, chatty company in the kitchen. I’ve been moving steadily through the easy recipes in The A.O.C. Cookbook. “Everyone, including me, loves a chopped salad,” Goin writes in the introduction to her recipe for the dish. I don't know about everyone, but I sure loved this particular chopped salad. It looks like a giant bowl of confetti and contains enough romaine, endive, apple, blue cheese, walnuts, and bacon that I couldn’t even taste the offensive radicchio. It took about 20 minutes to make and the leftovers keep for a couple of days without going soggy. (By day three the salad has definitely begun its decline.) The recipe is here and while it's not exactly the same as the version in the book, it's close enough. Goin’s crushed fingerling potatoes with creme fraiche and chives are also lovely. You boil little potatoes, drain, smash them against the side of the pot, roughly mash with butter and salt, then top with cool creme fraiche. As Goin writes, “This is one of those go-to recipes you just want to have in your repertoire." I agree. I wish I could blame this on the drought. Her long-cooked cavolo nero is also very, very good. I used collard greens which cost half as much as kale on Sunday at Whole Foods. Kale price creep. Grrr. The recipe is yet another variation on the blanch-then-cook-in-olive-oil formula for dark, leafy greens. You can find it here. But Goin isn't only enthusiastic about produce, she also appreciates junk food like Foster’s Freeze “magic shell." Her vanilla pot de creme with dulce de leche involves a scoop of dulce de leche (made this way) that you place on the bottom of your ramekin and then top with super-rich vanilla custard, a layer of homemade magic shell, whipped cream, and chopped Marcona almonds. This dessert was fabulous, though the chocolate "magic shell" as made by me could not be broken with a spoon. I’ve now cooked six A.O.C. recipes and will try a few more because I like this book a lot. My new rule for approaching a cookbook is: at least five recipes, then see how I feel. I love your posts. When they come up on my reader I either read them first, because I'm desperate or save them for last so I have something good to look forward to. Thank you. This makes me so happy. And thank you, too, Melissa. Aargh! 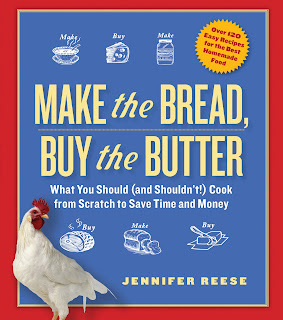 You are making me want to get this cookbook and I can't afford any more. Time to move on to Momofuku because I already have it and haven't cooked from it yet. I bought the Korean groceries last weekend and am just waiting for the Benton bacon I mail ordered, then I can do Momofuku. Honestly, I have a feeling that the Lucques book is going to be the more accessible of the Suzanne Goin books. There are a lot of recipes in this one, probably the bulk of the recipes, that I am too timid/lazy to penetrate. They look great, but I'm just not going to make albacore crudo. Onward and upward, oh fearless one! I love the additional photo at the bottom. It humanizes you. I wish I could blame a lot of things on the drought. That cyclamen did not need to die. Are you sure it's dead? Maybe it's just MOSTLY dead. Or possibly pining for the fjords. Imagine trying to make albacore crudo in Kansas! Two comments -- first PLEEEASE do the Lucques cookbook. I have that one and haven't done much with it, I need your guidance and inspiration. Second, I grew up making dulce de leche by boiling the cans; everyone I know has always done it that way (or to be faster, boiling in a pressure cooker!) and there's never been an explosion. While Ms. Mansfield unspools reel after reel of primitive cultures are the Chinese really primitive? engaging in courtship rites, punishment for sexual transgressions, or just running around naked, she is unaware that two bellhops from the Jerry Lewis school of mugging are spying on her. No worry, for those two would-be lotharios are going to get an extra special treat come the film's conclusion nobody, but nobody pulls a fast one on Jayne.